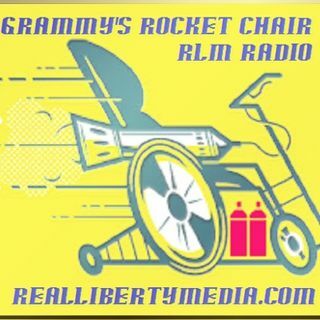 2019-02-22 Grammy's Rocket Chair with some FREEKISH Fun Filled ScIeNcE Facts! And finally..... The FCC in conjunction with The Telecom Industry is Working to Provide The BEST 5G Cellphone Service Money Can Buy (in under the table bribes) to ALL Americans as quickly as possible by (greasing wheels) Eliminating Rules & Environmental Reviews and Restricting the Locals (who will be Gifted with The Towers of Death) amount of Time to Investigate for Themselves...... The FCC doesn't think It Needs Investigate potential Health Hazards or Update It's Standards......... So Why would the Locals Need to?